If there was still any doubt about the value of data analytics, this should lay it to rest in a single word: beer. 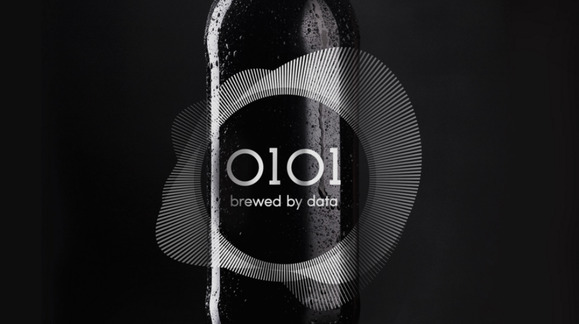 That's right, digital marketing agency Havas Helia has created 0101, a beer that was crafted based on data. Late last year, Havas Helia's goal was to create a beer that embodied the optimism associated with beginning a new year. It began by tapping social media for emotional keywords used in New Year's-related posts and then scored "thousands of messages" against a set of 24 predefined emotional states. From there, the agency identified 38 distinct emotions with a clear tie to the new year. Among them were amazement, anticipation, generosity, indulgence, excitement, happiness, joy, love and good cheer. Aiming to find a beer recipe that matched those emotions, Havas Helia used IBM's Watson Alchemy technology to analyze 2800 recipes based on ingredients, tasting notes and reviews. Watson Personality Insights then helped profile each recipe as "assertive," "friendly," "intelligent" or a host of other possible qualities. From that analysis, the agency compiled a list of the top 10 beers that matched the New Year's emotions it had identified. By analyzing their recipes for common ingredients, the company came up with the recipe for 0101. Among the final ingredients are honey and two varieties of hops: Nelson Sauvin and Hallertauer. "Honey for love and cheerfulness - Nelson Sauvin for optimism, imagination and resolution - and Hallertauer for excitement and emotion," the beer's website explains. But don't get too excited, because 0101 -- "a fine tasting cream ale" brewed through a partnership with U.K.-based High Peak Brewing -- was only released in a limited edition of 500 bottles.